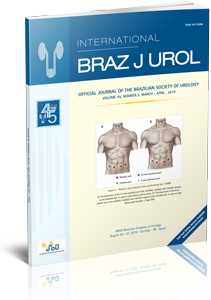 Purpose: This study aims to evaluate the link between preoperative parameters and oxida­tive stress (OS) markers in the bladder wall of men undergoing open prostatectomy. Materials and Methods: From July 2014 to August 2016, men aged ≥ 50 years and presenting with LUTS were prospectively enrolled. Preoperative assessment included validated questionnaires (IPSS and OAB – V8), lower urinary tract ultrasound and uro­dynamics. 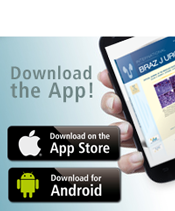 Bladder biopsies were taken during open prostatectomy for determination of OS markers. Increased OS was defined by increased concentration of malondialdehyde (MDA) and / or decreased concentration of antioxidant enzymes (superoxide dismutase and / or catalase). P<0.05 was regarded as statistically significant. Results: Thirty – eight consecutive patients were included. Mean age was 66.36 ± 6.44 ye­ars, mean prostate volume was 77.7 ± 20.63 cm3, and mean IPSS was 11.05 ± 8.72 points. MDA concentration was increased in men with severe bladder outlet obstruction (BOO gra­de V – VI according to the Schaefer’s nomogram) in comparison with BOO grade III – IV (p = 0.022). Patients with severe LUTS also had higher MDA concentration when compared to those with mild LUTS (p = 0.031). There was a statistically significant association between increased post – void residual urine (cut off ≥ 50 mL) and not only higher levels of MDA, but also reduced activity of SOD and catalase (p < 0.05). Conclusions: This pilot study showed that severity of LUTS and BOO were associated with increased MDA concentration in the bladder wall of men undergoing open prosta­tectomy. Further studies are still needed to assess the role of non – invasive biomarkers of OS in predicting bladder dysfunction in men with LUTS.